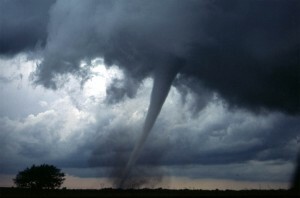 Should you be worried about more than just a tornado? Throughout the weekend I was also surprised to have been asked by several people “how much longer” I thought we really had. Let’s be clear, I am not a prophet. I have no more access to information regarding what’s taking place on our world stage than you do. We all have access to the scriptures. The real question is, are we paying attention to all of the indicators that we have available to us? Here are the tornado warnings I see looming in the wings at present. Unemployment rate has finally been admitted by the Obama administration to be over 10%. In actuality it’s over 22%. But hey, at least they were willing to admit their dreaded number of over 10%. Just to give you a frame of reference, unemployment was at 33% during the Great Depression during which time the standard of living was less, the dollar was worth more, etc. Our nation is at the most horrific sized national deficit than all of our history put together. Our enemies are becoming more bold in their hatred of us. Our U.S. Constitution barely remains intact. I expect there to be a great war between Iraq and Israel by the end of the year. We have an unprecedented excess of money in circulation with no accounting thereof, and no gold or silver to back it up. It’s all just paper. We are being primed for a medical challenge. Whether it be a factual pandemic, or a contrived one, it will still have a serious effect if any portion of our population is put under a quarantine order. We are looking at a genuine food shortage throughout the world. The bumper crop that USDA predicted this year will NOT happening, thus not only will our own flour, soy, corn, and sugar goods rise in price dramatically, but the United States will be unable to aid foreign nations since our own surplus supplies have been exhausted. The work ethic of the young generation is seriously compromised today. This means that there is a lack of innovation, problem solving, and initiative which is critical to aiding in any in long term financial or political problems. The value of our dollar has dropped sharply, by 50%, just in the last week. 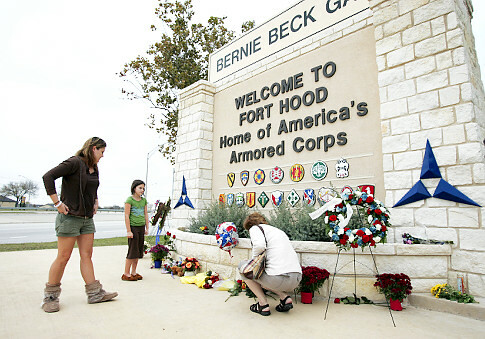 A terrorist act has recently been carried out on our own soil against our servicemen, indicating that we are sorely unaware of the hatred and conspiracies which lurk among us. Now, clearly I could go on, but sharing with you the gloom and doom of the day is not my goal. My point is that none of this is news to any of you. And yet it should all act as tornado warnings to all of us. 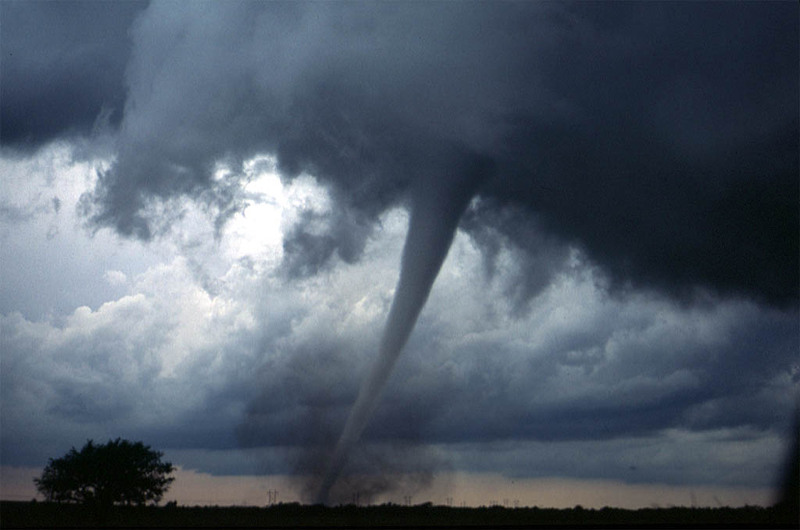 We’d be foolish to wait until we actually saw the tornado itself prior to being better prepared, when the smell is clearly in the air that something is amiss. May we be aware and be prepared that this country—in all of its greatness—may continue to be carried on the backs of solid, sound, and resolved citizens. Remember that only a prepared and sober people can accomplish such a task. Hello Kellene, I have had a food storage pantry for about a year now and I am ashamed to say that I have not been as deliberate in my food storage lately. I was randomly buying and storing away. However, I am wondering, what if I focused on one particular item at a time...say one week buy all can goods, next week all dry pasta etc. It just gets a little overwhelming at times. Jackie, ANY way you can make it less overwhelming for you is a great idea. I know several folks who focus on one type of item per week. You might want to make a menu and buy for a few meals each week that way you have enough of every item to complete a meal. If you went and got sugar this week and corn the next week what would you be able to make with it if the bottom fell out? Just a thought...I am trying to make sure I have all it takes to make complete meals. I pray for the Lord to give all of us wisdom! I know He will Bless our efforts! Amen to everything you said in this article. Absolutely! Since our grown children and/or grandchildren apparently will not be able to grow up in the same world we did, and because they are so busy right now trying to make a living, what greater gift of true love than to be faithfully gathering food, medical supplies, critical information for a time when they may need it! I agree that Israel and Iran will go to war. When that happens I expect oil to skyrocket and cause an even more major crash here. We're weak on so many fronts and you did a great job summarizing. And if we had to defend our country - there are not enough who would pass the medical exam to serve the country. Interesting times and times to be alert and prepared. What does it take to wake folks up? I'm, banging my head against the wall. All I'm getting is a headache, and I think I'm annoying the wall. Prepping is easy, food for a year is simple compared to Wall Street. This is not complex. You do or you don't. I could come up with many reasons not to prepare. I could spend on all kinds of things. Well say you won't spend money on prepping. I'm guessing you won't stop by Kellene's house. Well don't stop by my house either. You will get hurt.Actually they will dead. I see it every year.If you are gulf coast a Hurricane may hit you. Why don't you have Plywood, storm shutters, generator? Goodness it happens every time. Can you not store food, water and plywood. Its called Hurricane season. Well the storm surge will be 20 ft and I am below sea- level - 8 feet, well conman says leave. I get a little tired of active/stupid. Every year we have tornadoes, every year we have Hurricanes. Yet we don't build for it and WTF? How do we fix it? Cmon folks it happens every year! It is not a surprise. If you cant plan for stuff that happens year after year why should we believe you on global warming or anything else? Sorry about the rants. I shouldn't try to say I'm prepared for everything I am not. My dog is very ill, so that just shot my budget for the next 2 months. I have the money but I wanted to spend it on more prepping stuff. "Stuff Happens"
So I apologize to all of you. Friday the 13th and "pride goeth before the fall". Live and learn, I need more money dedicated to those "Oh darn" moments. Pets get sick, water heaters die, Stoves and a refrigerators crap out on you. I am sure you can insert your disaster here.You can have an emergency fund for those items but I got hit back to back on emergencies. I could have handle any one or two of those but 3+ at once was a bit more of a challenge than I wanted. I am handeling it, if you could remember me in your prayers and especilly Tuffy my dog, a little extra juice never hurts. Thank goodness I did prep and I have some leeway in the budget. Well, $400.00 later and it seems we are getting on top of my dog's injury. He's got a bad back and pressure on his spine was causing the pain and nerve trouble. I hate to just imagine what I would have done if I had to make a choice between my bills and his pain. Thank goodness for all of you and Kellene. I did not have to make that choice. Will money be tight? yes but I have all the essentials. Water heater only needed a new element and my Dad installed it. But I was ready to heat water I had water on hand if we had to turn off all water to the house. I gained a lot of info about myself during this little personal emergency. Thanks for all your prayers, information and your caring. Kellene you rock, Thank you for getting me ready and being able to handle this.